Sweet and mild in flavor and medium to large in size, purple onions are also known as red onions, though their skin is indeed purple. An excellent source of vitamins A and C, purple onions are used to add color and zing to salads and sandwiches. Purple onions retain their flavor, but tend to lose color when cooked. Young onions can be pulled early and their tops used as "green" onions. Stored in a cool, dry and dark space, purple onions will keep for several months. Contact your local county extension office to determine the amount of daylight your area receives and the variety of onion best adapted to your growing conditions. Onions are characterized by the amount of daylight they require for optimum growth. 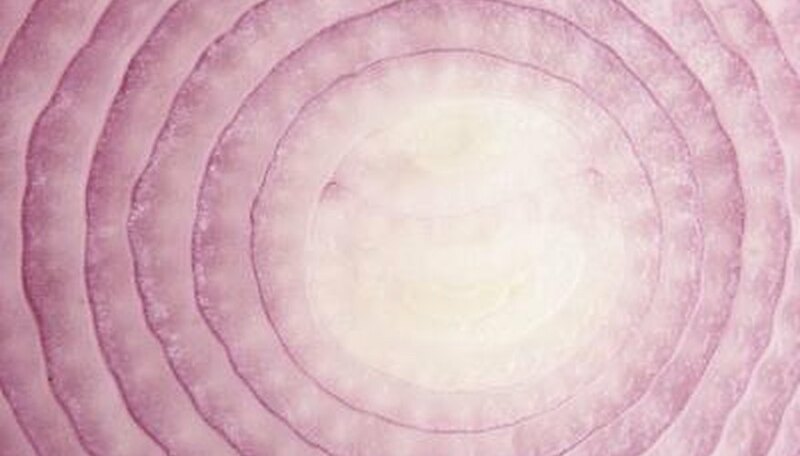 Short-day -- 11 to 12 hours of daylight -- purple onion varieties include Sakata Red, Red Bone and Rio Santiago. The Fuegro variety is an intermediate day -- 12 to 13 hours -- that grows well in the southwestern United States. The Tango variety of purple or red onion is a long-day onion (14 to 16 hour days) prized for its mild flavor and intense coloration. In U.S. Department of Agriculture hardiness zone 7, plant short-day varieties of purple onion. Gardeners located in plant hardiness zones 5 and 6 will do best with short and intermediate varieties. In hardiness zone 5 and colder, select long day varieties. Onion sets or transplants can be purchased online, by mail-order catalogs and from home and garden supply stores. Prepare your garden soil. Cultivate well to a depth of 8 to 12 inches, removing rocks, roots and weeds. 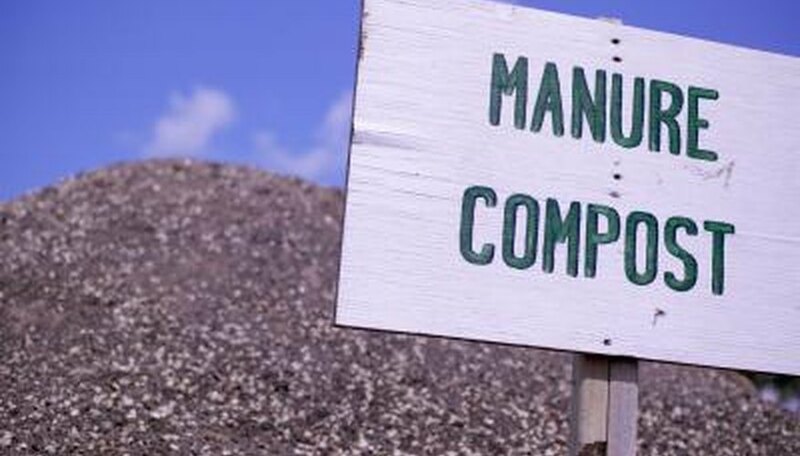 Add a 2- to 3-inch layer of organic compost or well-aged herbivore manure -- horse, mule, cow, sheep, goat, lama, alpaca -- to the top of the soil. Cultivate well, rake and water deeply. Start your onion crop from either seeds or sets. If purchasing sets or transplants, it is important to plant them as soon as possible. Do not let them dry out. Purple onion sets are relatively inexpensive and much easier than beginning from seed. Purple onions should be spaced 2 to 3 inches apart. If seeds are planted, thin the plants after germination. If you plan to harvest some of the onions as green onions, the plants can be closer together. Water purple onions weekly. Purple onions, like most other garden vegetables, require at least 1 inch of water per week. Onions require moist soil but will not survive in soggy soil or standing water. Harvest purple bulb onions when the tops start to wilt and fall over. You can determine the size of the onion by the amount of the leaves on the plant. There will be a ring of onion for each leaf. After digging or pulling your onions, allow to dry. Then clip off the roots and all but 1/2 inch of the leaf stalks.